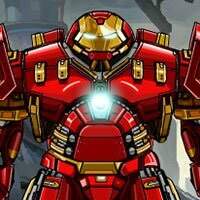 Welcome to all Avengers fans, this is one of the best dexy games ever.This is one more awesome puzzle game in a row, you can choose difficulty.Choose between 3 sizes, 3×3, 4×4 and 5×5 it’s like easy, medium and hard. Your task is to try to put the picture back together. Move by clicking on a puzzle piece to slide it to the empty space.